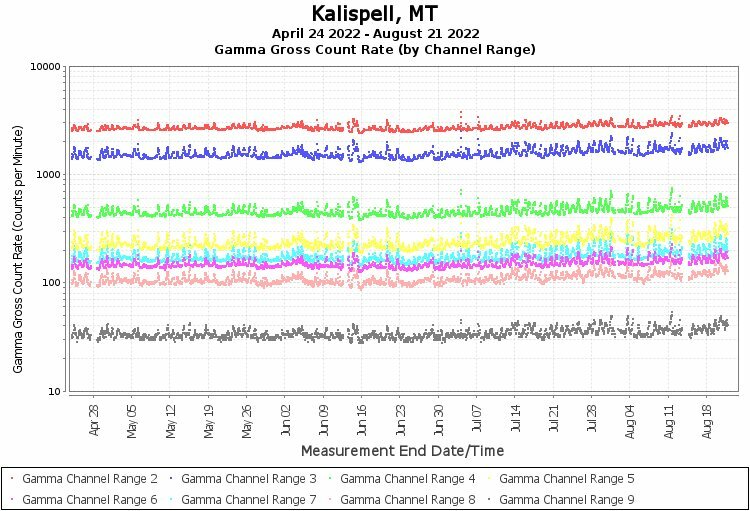 In an effort to make RadNet radiation data more understandable to the public and easier to compare with international data, EPA is adding exposure rate measurements to our other system capabilities. 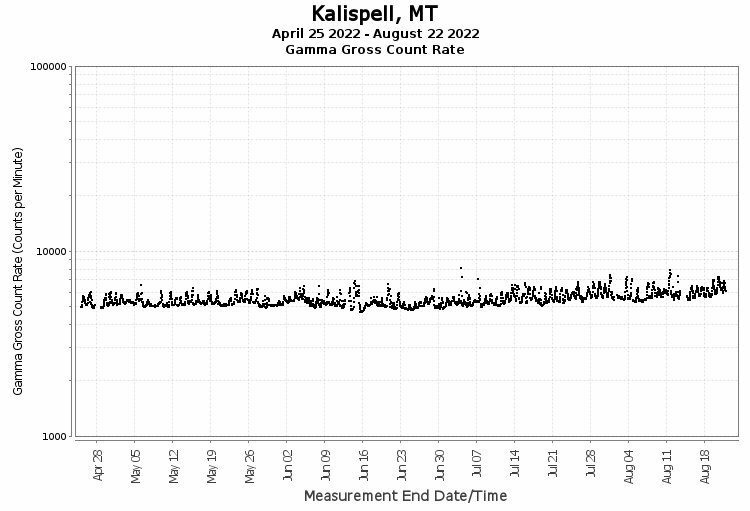 Exposure rate measurements indicate the level of radiation present per hour in the vicinity of the monitor. To view individual data points, use the query tool to search the RadNet database in EPA's Central Data Exchange. 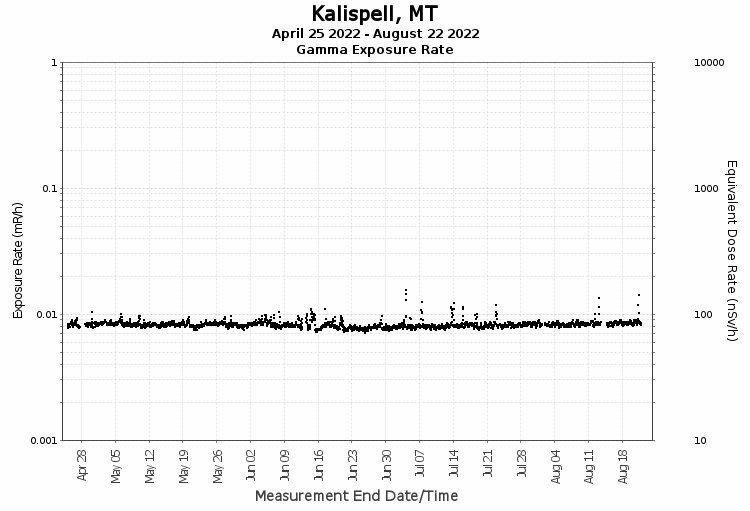 Kalispell, MT began reporting exposure rate data on July 18, 2017. The left axis of the graph shows gamma exposure rate in US units of milliRoentgen per hour (mR/h). The right axis shows equivalent dose rate in the international units of nanoSieverts per hour (nSv/h), which is provided for consistency with international data.